Ant mounds on greens and tee boxes have been a big problem this year. 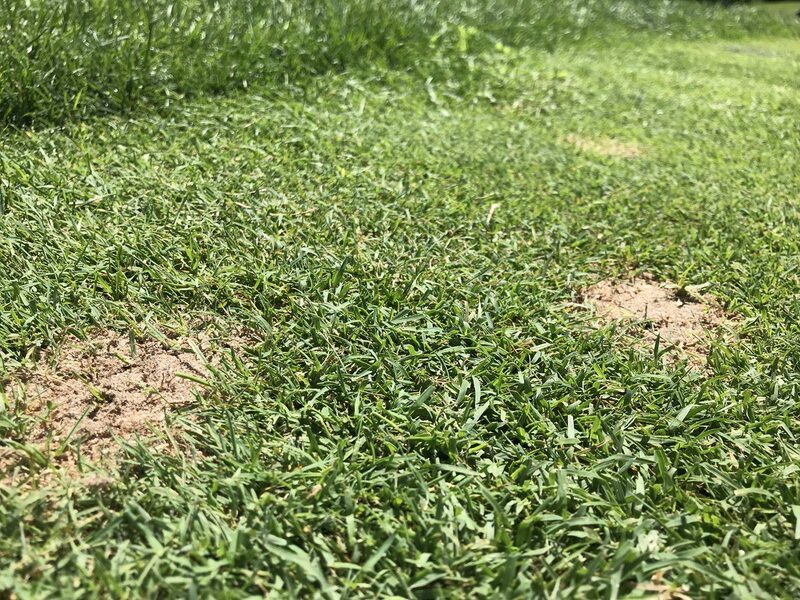 In fact, one of our reps in the Chicagoland area has dealt with ant mounds on about 75% of his courses. There’s nothing worse than walking into a mess first thing in the morning on your course and, if you discover ant mounds on your greens and/or tee boxes, a mess is what you will have. What problems will the mounds cause? Dull mower blades. You’re pretty much mowing a sandy soil when ant mounds are present. Turf damage from smothering. 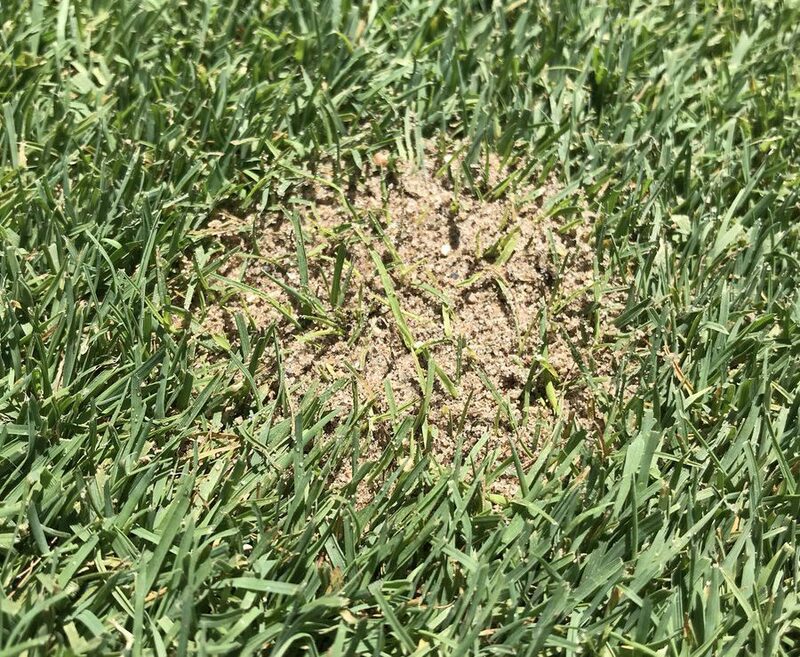 Because ant mounds deposit large amounts of sand and dirt on the turfgrass, sunlight and oxygen can’t reach it. This results in the smothering of the turfgrass. Extra work. A rake or hose will not stop ants. Ants build their colonies within a few hours, so, if you clean up the colonies in the morning with just water and a hose or a rake, they are back by midday. Golfers are forced to putt around ant mounds on a playing surface that is not uniform. What are my solution options? FMC’s Triple Crown will stop ants in their tracks. You can apply it throughout the season, but the earlier the better. When spraying Triple Crown, you should be 20-30 ft away from the mound (ants will roam 20-30 ft from their mound). So, even if the mounds are on the edge of the green, you might have to treat all the way back to a bunker. NuFarm’s Aloft is also a great a solution for ants and their mounds.